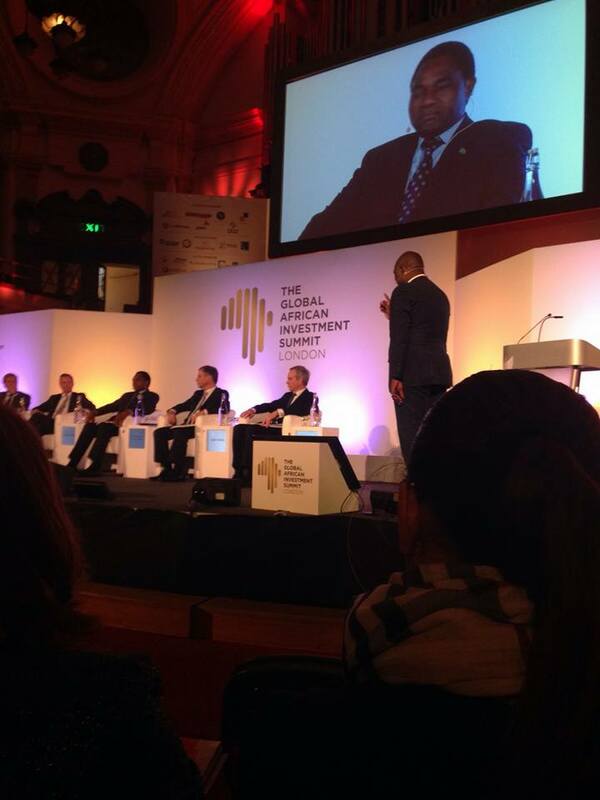 This week I have been busy meeting with investors, business leaders, Heads of State and fellow politicians from across the African continent at The Global African Investment Summit in London. On Tuesday I was honoured to represent our great nation and address delegates at the Summit on the huge potential that exists in Zambia across various sectors, including in tourism, agriculture, financial services, retail and telecommunications. Delivering a message focused firmly on opportunity, I shared some of my experiences of doing business in Zambia with the audience. Speaking to fellow delegates and speakers, from Zambia, Africa and across the globe, it was exciting to discuss the ideas and interest that people have for projects which are exactly the sort of ventures we are in urgent need of in order to grow, strengthen and diversify our economy, as well as to create jobs and reduce the cost of living. In recent months we have seen more than ever the danger of having an import dependent economy that is highly reliant on one commodity for its foreign exchange reserves. I was therefore particularly glad of the opportunity to engage with so many investors looking at agribusiness projects that can help us diversify our economy, lower the price of food and strengthen our currency through the earning of foreign exchange as we move from being a net importer to a net exporter. During the course of the summit we have also had the benefit of listening to the experiences of various leaders from across the continent and what approaches and projects have delivered positive outcomes for their citizens. We listened to the concerns and reservations of prospective investors, which closely mirrored those that we have already heard at home during our domestic consultation with Zambian business leaders and entrepreneurs. From these conversations it is clear that if we are to capitalise on this interest and secure funding for projects that will create jobs, taxation revenues and foreign exchange reserves for Zambia then there is work to be done. Cutting red tape – Currently the number of licenses and permits that are needed to start up a venture is prohibitive and drives up costs. This is an unnecessary disincentive to investment and must be addressed as some of our neighbours, such as Rwanda, have successfully done. Clarity and stability in terms of investment – Businesses need to have confidence that the fiscal terms and regulation governing their contracts will not be changed from day to day. Lack of certainty is a high barrier to investment. The best way to guarantee such stability is to ensure broad based consultation always precedes the adoption of a new policy. Project identification and promotion – If we want to attract investment in the areas we believe have the most transformative potential for Zambia then we must lead in identifying these opportunities and communicating them to those with capital. Government should lead in this endeavour, but all of us as citizens and entrepreneurs can play our part in promoting these openings. True partnership – We want investments that deliver jobs and sustainable growth over the course of several years. This requires the fostering of true partnerships between government and business, both domestic and international. Working together closely in a collaborative and cooperative manner that is focused on mutual benefit and shared ownership it the best way to not only create jobs, but also to protect those jobs. Finally, it seems clear to me that quality of leadership is essential to this equation. Leadership that not only understands what needs to be done, but leadership that is also ready to take action and work hard until the job is done. As I have stated before this is one of my personal motivations in seeking public office and something I know the UPND could deliver on. As the Summit concludes I would like to thank the hosts and all those who have shared their insights and ideas with me. We look forward to continuing the conversation in Lusaka.